At Complete Professional Office Services You Are The Most Important Person! O&P BILLING ON THE CUTTING EDGE! Ohio Willow Wood's Alpha DESIGN Liners can be easily created through the use of OMEGATM Tracer 7.0 CAD system or from plaster casts. After capturing the limb shape, practitioners determine how much elastomer gel to apply throughout the liner and where. 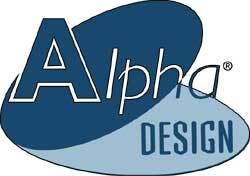 Alpha DESIGN Liners allow prosthetists to add up to 12mm of gel where needed; thin gel down to 2mm behind the knee; and apply up to 15mm of gel over indentations on the limb. 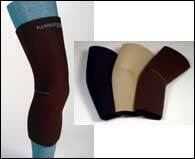 Prosthetists can also choose the fabric style and color of the Alpha DESIGN Liner. Cascade Orthopedic Supply now offers the orthotic line of Camp Healthcare products, including the popular ToeOFF® AFO and lumbar supports, such as the Camp XXI line and the X10. Introduced to the industry in 1997 for patients with foot drop, the ToeOFF continues to allow patients to enjoy a higher quality of life due to the stability and dynamic assist provided by the carbon composite orthosis. Along with the standard model (black) and the Fantasy (ivory), the YpsilonTM for stable ankles is also available. The Camp XXI series offer increased comfort and compliance and are machine washable. The rigid frame for the X10 is used in conjunction with the X10 Standard or the X10 Low-Profile lumbar spinal support. Cascade Orthopedic Supply continues to expand its product line with the addition of Camp Healthcare Post-Mastectomy Products. Known for the NaturalWear line of products, Camp recently improved the fit and feel of its breast forms with the NaturalWear Harmony and Harmony Plus lines, featuring a new lightweight silicone and a soft outer film. These forms are 30% lighter than comparable traditional silicone forms and move and relax like real breast tissue, providing a natural profile. The NaturalWear brand also includes a wide assortment of bras - with styles and colors for every woman. In addition to bras for support, comfort or limited dexterity, a new activity bra is now available. SPS is pleased to announce the release of its new 2005 SPS Orthotics Product Catalog, which features an extensive expansion of the tools and equipment section, fabrication supplies, and orthotic components. New orthotic vendors found in this catalog include: Answer 2, Bauerfeind, Cybertech, Medi USA, M2, Osborne, Sievert, Steinel, and General Tool. Additionally, new products from longstanding SPS suppliers also have been included in the new catalog. Ossur orthotic products distributed by SPS are located in a separate product bulletin, which shipped in February with the new catalog. SPS is currently working on a companion volume dedicated to prosthetics, scheduled for release in the second quarter of 2005. Please retain your 2002 SPS catalog until you have received both the orthotics and prosthetics volumes. 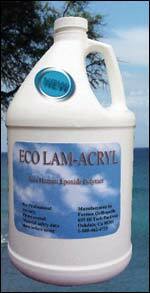 SPS now carries ECO LAM-ACRYL by Foresee Orthopedic. This epoxide polymer is a non-hazardous laminating resin product that offers high strength with low odor. Because it is non-hazardous and ecologically friendly, this product can ship without restriction and shipping costs are significantly reduced. ECO LAM-ACRYL is a high performance thermosetting laminating resin that offers unsurpassed strength and ease of use to the O&P industry. This material is designed to provide very high fracture toughness without sacrificing rigidity. This unique property allows the designer to create laminations that are very thin, yet strong and durable. The low viscosity of the resin promotes excellent wet-out and adhesion. Heralding the launch of ESPs new FlexiSportTM and FlexiKidsTM, SPS announces an ADDITIONAL 10% off introductory offer on all SPS purchases from the FlexiSleeve family of suspension sleeves from January 15, 2005 through March 15, 2005. The ESP FlexiSleeve family is pre-flexed to 43 degrees for maximum comfort and freedom of movement. The pre-flexed design diminishes pressure exerted by the socket trimline on the inside of the sleeve, reducing potential breakdown. Fabricated from the highest quality neoprene, all latex has been removed to reduce skin irritation and the sleeves are coated to prevent cracking and pealing. FlexiSleeve, FlexiSport, and FlexiKids are all value priced and guaranteed for 3 months. Manufacturer recommends L-5675 for reimbursement of the FlexiSleeve and FlexiSport and L-5674 for reimbursement of the FlexiKids. 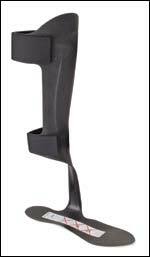 SPS announces the availability of the Flex-Foot® AxiaTM prosthetic foot with guided roll-overSM. Designed to provide unparalleled ground compliance, the Axia's guided roll-over provides proportional energy response and exceptional stability. For amputees who engage in low to moderate levels activity, the advanced technology and functional refinements built into Axia offer the ability to navigate lifes little rough spots with safety and confidence. Adjustability is the key and the Guardian is chock full of it. A universal, right or left pelvic band is set up to accept all joint sizes and thread designs. The anterior strap is easily interchangeable to provide a left or right hand pull. The strap also includes a quick connect buckle for one time adjustments. The Guardian also offers the only anterior tongue on the market that can be "locked" to eliminate potential rotation or be left as a "smooth" overlap. The thigh cuff includes all of the pelvic band features, is fully adjustable, and is the only cuff on the market that can be adjusted to include medial condyle support. Combined with the Hip Bolt or the Hip Tracker hip hinge, the Guardian is the ultimate, fully functional hip control system. Customized version of “EZ Stride” now available! The EZ Stride composite has successfully helped thousands of patients return to a more active lifestyle and enjoy the freedom of walking without restriction. Now, even more patients are candidates to enjoy that same freedom by using the new, custom version of the"EZ Stride." Patients who have unique requirements will be able to be fitted for an EZ Stride. The new fabrication techniques have allowed us to increase the overall strength of the orthotic while enhancing its esthetic appearance. The EZ Stride Custom is a dynamic, floor reaction device that is stronger, lighter, and thinner. It is designed to prevent excessive "push out" of the shoe. It can be fabricated with either a lateral or medial support strut. This fully customized version of the EZ Stride can be fabricated from cast, cad file, or to measurement. Ossur debuted the Flex-Foot® AxiaTM, a low profile, maintenance-free prosthetic foot featuring a proprietary Guided Roll-OverTM technology that boosts stability. Axia's multi-axial feature also makes it well suited for walking on irregular terrains that can be so tricky to navigate. This new addition to Ossur's Flex-Foot family of products was created for amputees who engage in low to moderate impact activities. The Flex-Foot Axia introduces an asymmetrical upper plate that enhances lateral stability by moving the center of pressure towards the medial side. Ossur's exclusive Guided Roll-Over leads the user into a biomechanically corrected gait by providing support towards the inversion moment in mid-stance. 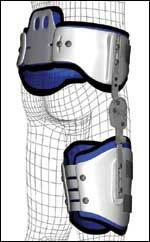 Innovation Sports, manufacturer of the C.Ti.2 Knee Brace, is pleased to introduce C.Ti. Wrist Brace, a unique, new line of orthoses designed to help restore functional and structural characteristics of the wrist that has been negatively affected by injury. C.Ti. Wrist Braces provide both function and strength, and enable patients to return to activities sooner, while reducing the risk of re-injury, even in activities which have a high incidence of wrist trauma. Available in both custom and off-the-shelf models, C.Ti. Wrist Braces allow for limited and controlled extension (and flexion, if needed) of the wrist, specific to the physician's requirements. 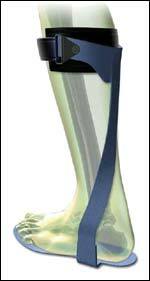 Ongoing Care Solutions offers a complete line of orthotics, including OCSI CHAMP W.H.F.O. (Wrist, Hand, Finger Orthosis) at $39.95 each! 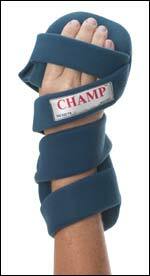 We offer the CHAMP Hand Splint in both right and left models, in the following sizes: Extra-Small, Small, Medium, Large, and Extra Large. The latest innovation from College Park Industries, the Tribute Foot offers a simple, valuable solution for the dysvascular population. College Park design principles, such as multi-axial and transverse rotation, allow individuals with low to moderate activity levels to enjoy the mobility they need for the freedom they desire. Get Dream Skin at PEL! 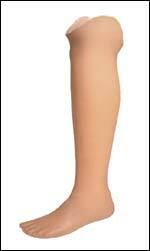 The Dream Skin leg covering, manufactured by Fillauer, is now available for immediate shipment from PEL Supply. Combining superior durability and stain-resistance with the elastic properties necessary for easy donning and application, Dream Skin is available in five sizes to accommodate feet from 21 to 30 cm, with 18 shades for color matching. It features an expanded ankle for easy donning during fabrication. According to Fillauer, DreamSkin uses new molding technology to offer the life-like cosmetic quality of a custom cosmesis but at the price of an off-the-shelf standard production covering. This waterproof, closed cell coating prevents permanent stains, cleans easily and helps clothing slide more easily over the prosthesis when dressing.